If there were only a few foods I could get fresh off the farm Raw Milk and Pastured Eggs are the two I wouldn't go without. These eggs aren't your typical farm or super market eggs. The eggs from our pastured hens are unlike any egg you've ever eaten! They get their distinctive flavor, color and texture from high amounts of Vitamin A, D, E, K2, B-12, folate, riboflavin, zinc, calcium, beta carotene, choline, and tons of omega 3 fatty acids, including DHA, EPA, ALA, and AA, that they get from their natural pastured diet! A pasture-raised egg is a true superfood. Our laying hens are Pastured and organic fed. They spend their lives running free, sun bathing, scratching and catching bugs. During the summer when forage is plentiful our hens are only fed a small amount of organic scratch. In the winter they are given free choice organic layer pellets and spouted scratch to supplement their diet until spring returns. At this time you can get our eggs at our farm stand, or add them to your Raw milk subscription and save! 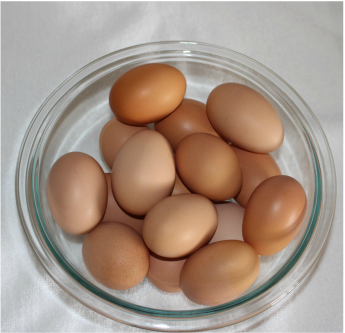 Currently our egg supply is limited so please e-mail us to order ahead.